/ 2-Part Blog / Getting to Know Casement Windows – Part 1: What Makes Casement Windows Good Replacements? Getting to Know Casement Windows – Part 1: What Makes Casement Windows Good Replacements? 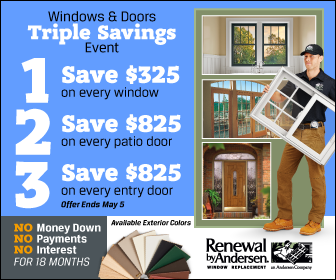 Looking to replace your windows? Whatever reason you might have for replacing your windows, it’s important that you get the right replacements to make the most out of your home improvement project. Fortunately, there are many options available to you. Unfortunately, this might make the selection process a bit troublesome. We’re here to help you out by helping you get to know casement windows, starting with a discussion of the benefits that make them good window replacements. Opening even larger casement windows usually involve nothing more than a gentle push. This is because the only parts of the panels in contact with the frame is the hinges, minimizing friction. As a result, casement windows can afford to have larger frames than other window types without sacrificing ease of use. Additionally, as there’s no vertical movement unlike in some window designs, there’s no need to “fight” the weight of the panel when it’s being closed or open. Having a larger frame means your window can open up more to allow fresh air to get in and stale air to get out. However, this is even better with casement windows since you can have an opening as big as the frame itself. Other windows can only open up to half the frame size, so ventilation is still limited. You can also control just how much air you want to let in by angling the sash. This makes it possible to direct a breeze in when it’s not blowing directly into your home. Having large frames not only gives the casement window superior ventilation, but it also offers you bigger views of the outdoors, making it perfect for areas in front of gardens or scenery. Furthermore, casements come in a range of frame options that lets the window complement both traditional and contemporary-styled homes. Aside from offering these benefits, casement windows can also have a hand in improving energy efficiency in the home. More on this in Part 2 of this blog series!